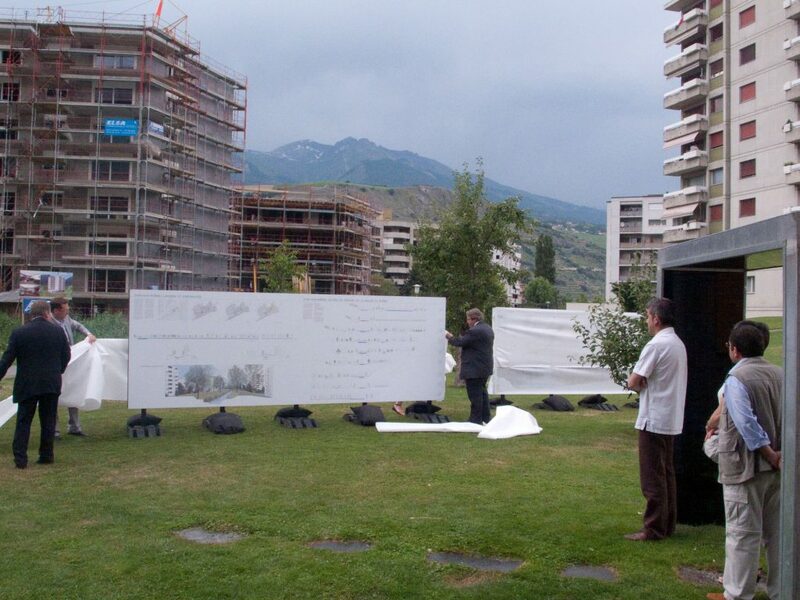 Following three design studios held by the Chair of professor Girot at the ETH Zürich in 2009 and 2010, the exhibition “Sion-sur-Rhône” opened on the 29th of June in Sion, Valais. 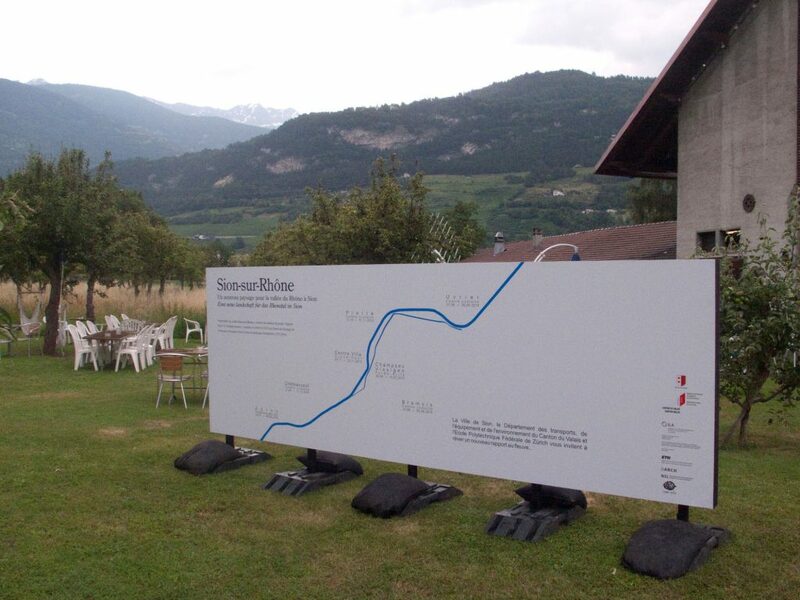 Supported by the City of Sion and the Canton of Valais, the exhibition presents the results of a project-oriented research on the Rhone river Third Correction. 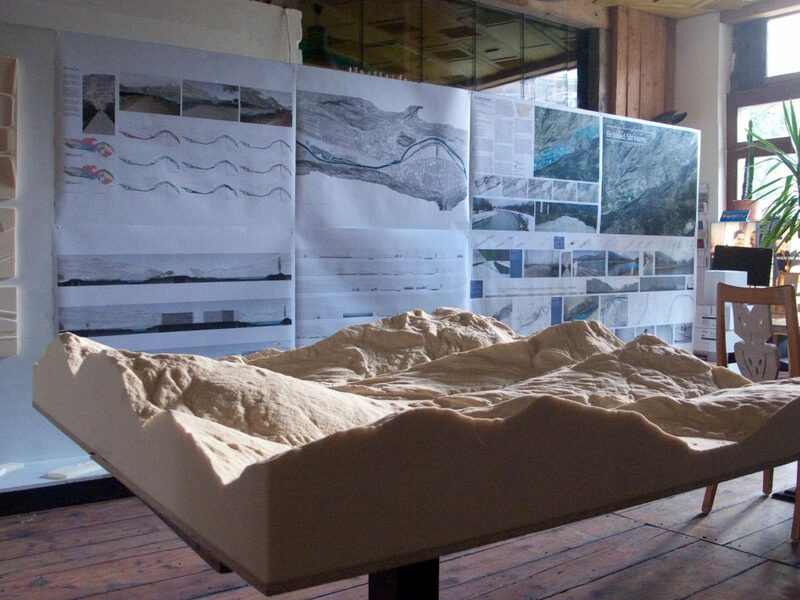 The students of the ETH integrated water management and future urban development issues into their landscape strategy and design,with continuous feedback from the city architects and the Canton’s water engineers. The final proposal shows that the river’s transformation, morethan just a flood-control issue, is also an opportunity to create a better living environment and a major public space for the city and the wider urban area. The exhibition displays individual projects elaborated during the first semester, as well as the final detailed proposal. 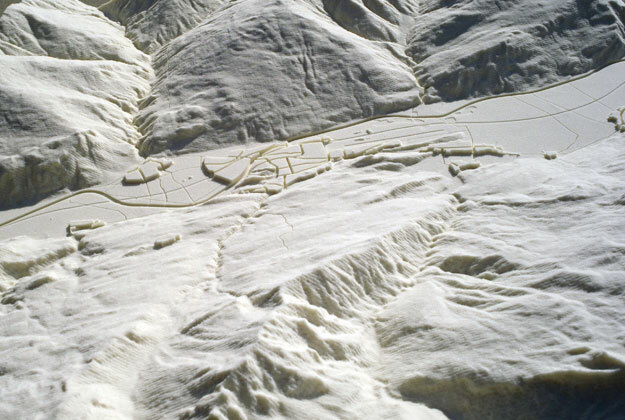 Parallel to this, the Institute of landscape Architecture publishes a new “Pamphlet” : “Sion-sur-Rhone, Un nouveau paysage pour la vallée du Rhône à Sion”. Thepublication contains a detailed description of the strategy and project, as well as contributions from the teaching team, the City of Sion and the Canton Valais.